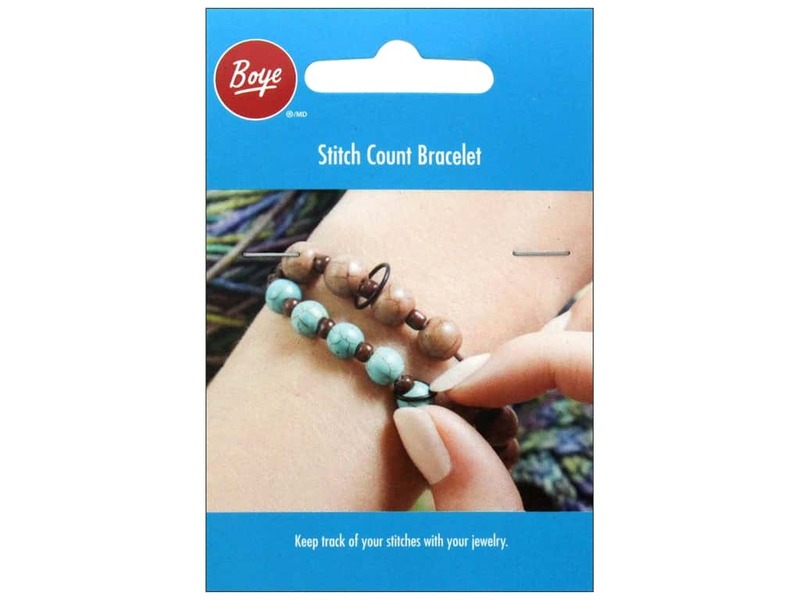 Description: Boye Yarn Stitch Count Bracelet- Never lose track of your stitch count again with this double row stitch count bracelet. Move the band across the beads as you count stitches or rows. When you reach the end, move the band on the top row. This counting bracelet can be used for any craft that involves counting, such as knit, crochet or cross stitch.